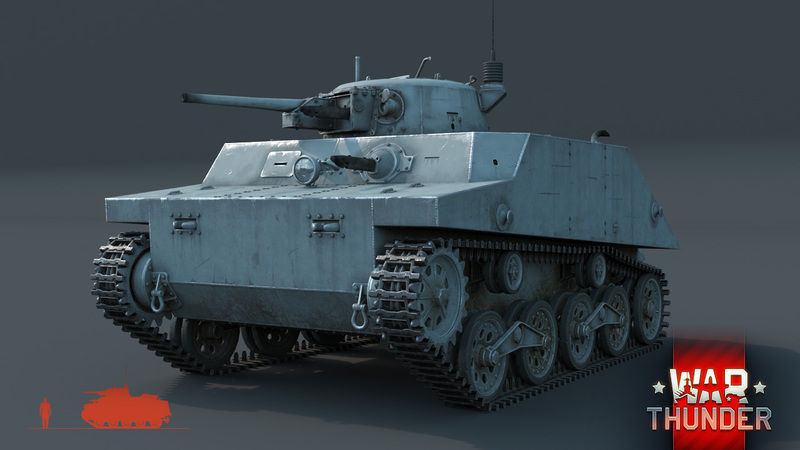 As a basis for the future design, the tank designers used the light Ha-Go tank, which were cranked out at a great rate. In the course of development, it became clear that the required maneuverability and stability at sea could only be obtained by installing pontoon floats capable of supporting a light tank on water. These pontoons made the tank look like a boat and really did give the amphibious vehicle impressive seaworthiness. It turned out that effectively moving and doing battle with these pontoons was impossible, so they were removable: the tank reached the coast, quickly dropped its pontoons and went into battle without them. All credit where credit is due – this very unusual decision turned out to be fully justified, and over the course of war, Japan built roughly 180 of these vehicles and used them very effectively in naval landings. 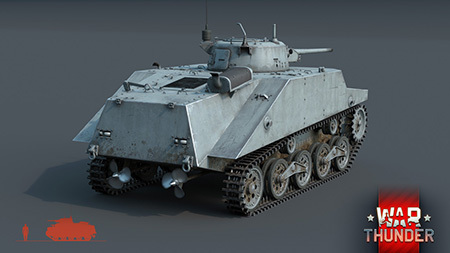 In War Thunder, the Type 2 Ka-Mi has been recreated in its ground warfare form – like the American Sheridan, tank cannot swim. 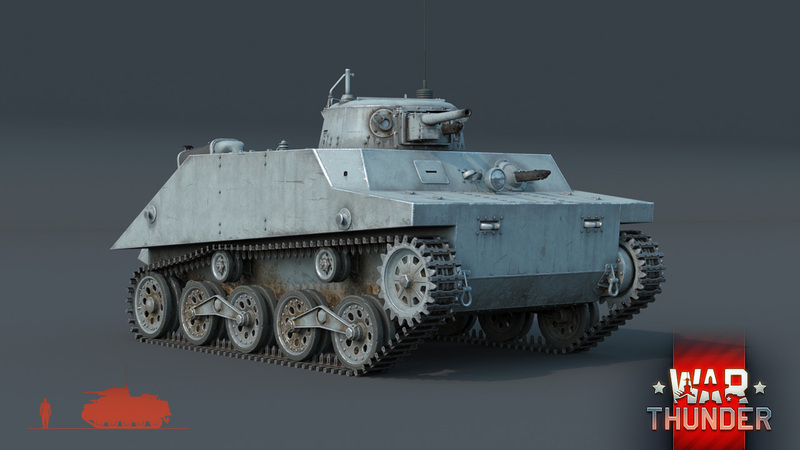 The Ka-Mi is a light tank in the lower ranks of the Japanese armored vehicle tech tree. It is armed with a Type 1 37mm cannon with an ammunition complement of 132 shells, along with a couple of 7.7 mm machine guns – one twinned with the cannon and the other mounted at the front. The tank’s armor is characteristic of the light Japanese tanks from the early war period and is 6-12 mm in thickness. The Type 2 Ka-Mi has a crew of four. The tactics of playing this tank are similar to those of other light tanks – the vehicle is quite mobile and its cannon has a very good rate of fire. 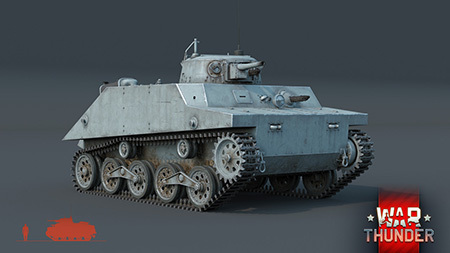 The Type 2 Ka-Mi’s commander must keep in mind the tank’s thin armor and carefully calculate their ammunition complement before a battle – the ammo rack is located dangerously close to the crew, and the tank’s armor can’t stop an enemy anti-tank round. Japanese tanks are very unusual and add a range of exciting moments to our favorite game. Keep an eye on our Devblog and be the first to find out the news about the Japanese armored vehicle tech tree! I love Japanese tanks! Thanks for posting this! :D I hope you add another gun sounds for the Japanese tanks. Add some bushes on it and go in the water. Floating bush....omg. 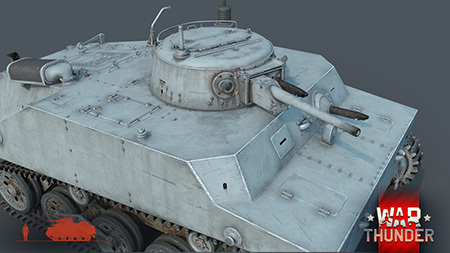 Will the tank come with a researchable mod for the floats? Either way, still looks awesome! If it comes out in time for christmas it needs a wrapping paper skin. Researchable floats would actually be great. Currently, like the M551 Sheridan, this vehicle will not have an amphibious mode. 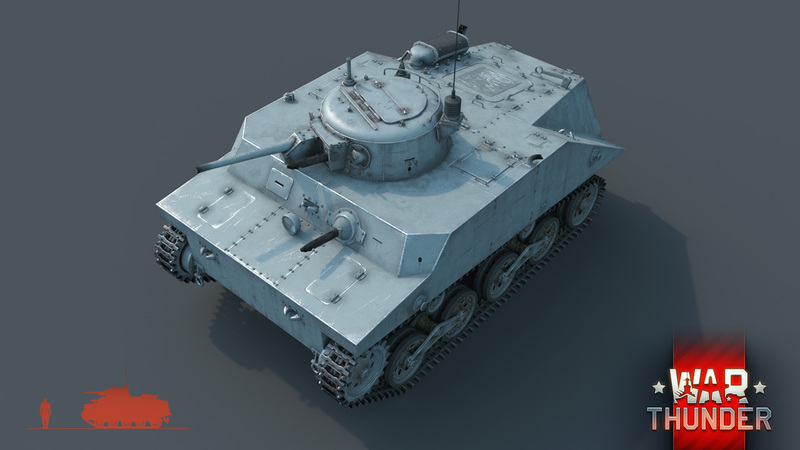 Weird looking tenk, but I want it !